UPDATED May 30th, 2018 There are tons of sources of inspiration and information in your daily life; you learn from the people you interact with, from your surroundings, and you learn from both your failures and your successes. But what about that furry feline friend nuzzling your leg as you read this. 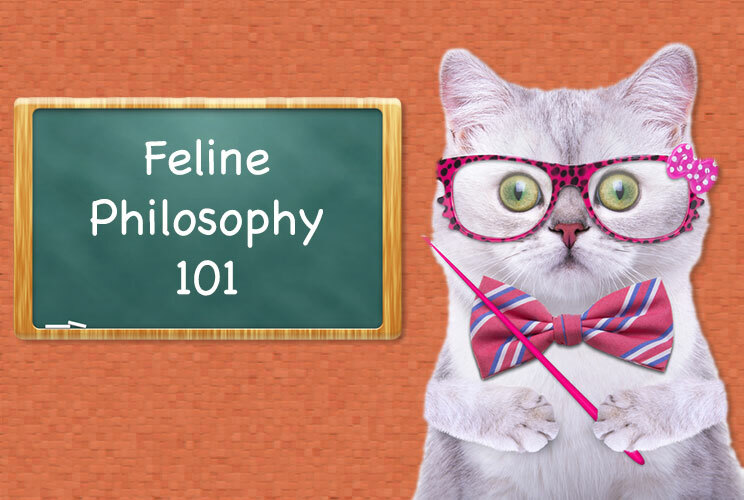 What can you learn from cat facts? Turns out your animal companion and snuggle partner can teach you a lot about life. Hear us out. We know that not everyone is a fan of four-legged creatures, and while we don’t totally get it (come on, they’re so cute!) we respect it. But these lessons can apply to anyone, whether you are a proud cat owner, an animal lover, or just someone in need of advice. Sure, sometimes cats can be a little hard to read. Unlike your dog who barks when he is hungry, wags his tail when he is excited and licks your face when he is happy, cat language is much harder to understand. According to the Humane Society, “important clues such as the look in your cat’s eyes, the tone of her voice, the position of her ears and the motion of her tail can reveal her feelings and intentions.” Even when you think a cat is being aloof, he or she actually has a lot to say, and their actions are full of wisdom if you know where to look. Here are 8 life lessons around cat facts that you can learn from a kitty. 1. The Importance of a Good Nap The term “cat nap” is not an accident. It refers to a short rest that can refresh you for the rest of your day. And our feline friends know exactly what that little nap is all about. The feline sleep a lot. “Cats sleep an average of fifteen hours a day, and some can sleep up to twenty hours in a 24-hour period.” Why do they rest so much? The basic explanation, according to PetMD, is that “cats have the physiology of a predator, meaning that they’re hardwired to give chase and hunt–mainly at night.” All that hunting takes up a lot of energy, so during the day cats rest to save as much power as possible. And yes, this even applies to domesticated house cats. Take a cue from your kitty: when in doubt, take a rest. You’ll feel more energized when you open your eyes.